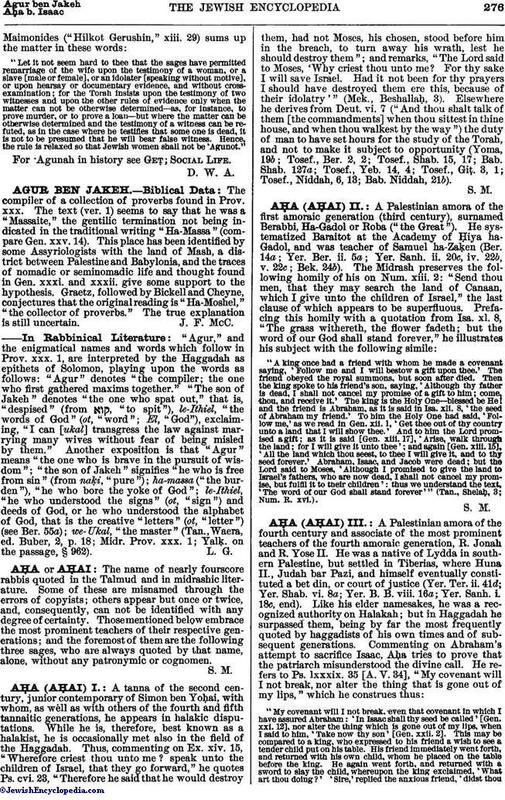 The name of nearly fourscore rabbis quoted in the Talmud and in midrashic literature. Some of these are misnamed through the errors of copyists; others appear but once or twice, and, consequently, can not be identified with any degree of certainty. Those mentioned below embrace the most prominent teachers of their respective generations; and the foremost of them are the following three sages, who are always quoted by that name, alone, without any patronymic or cognomen.